Including this information in your next RFQ should get you off to a strong start. Be sure that you submit identical information to each potential printer so that an apple to apple comparison can be made when you receive your quotes. When comparing the bids, if one price seems to be way out of line with another, be sure to ask questions. Make sure that everyone was on the same page when they priced the job. After all, we humans do make mistakes from time to time! Now, if you don’t have all of the details for your print project up front, fear not, printers are fantastic people (for the most part) and love to talk about print and the graphic arts. Have a conversation over the phone or, better yet, in person with your potential print partner. Opening the lines of communication should get both you and your printer off to the right start with your print project and your business relationship. 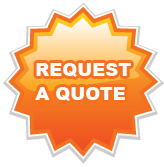 What suggestions do you have for print buyers looking for printing quotes? Do you prefer to work with a select group of print providers or do you work with many different printers?